SSC CGL Recruitment 2017 Notification for Tier I, II, III, IV is Out! Home CGL Graduate Notification Post Graduate Recruitment SSC SSC CGL Recruitment 2017 Notification for Tier I, II, III, IV is Out! Staff Selection Commission (SSC), on 16th May, has uploaded an advertisement which reveals the conduction of Combined Graduate Level Examination 2017 (Tier-I, II, III, IV) on various dates. At first, a CBT (Tier-1) will be conducted from 1st to 20th August 2017 and only those succeed in Tier-I after applying for SSC CGL Recruitment 2017 will get an opportunity to go for the next round i.e. Tier-2 exam. The posts available under this recruitment have been named group wise like Group A, B, C, and D. Also, the post codes have been shown in the table in this SSC CGL Notification 2017 (downloadable below). The Notification for SSC CGL 2017 is out now! Though it is not mentioned that how many vacancies are available under this recruitment, but we are naming all of the posts here that contenders who clear the round will get selected for. As per the given SSC CGL Notification, the post codes are as follows: F, $, A, C, D, E, G, H, >, <, I, &, J, K, L, M, N, O, P, Q, S, %, R, etc. A good pay scale, which is pre-revised, after being selected for various posts is also given. If you apply for Tier-I exam, you don’t have to apply for Tier-2 because the application form of Tier-1 exam will be sufficient. Also, the result of Tier-1 will be published along with the names of shortlisted candidates for Tier-2 on the official website. Applicant must either be a citizen of India or subject of Bhutan/Nepal or a Tibetan refugee who had come to India before 1st January 1962 with the purpose of settling in India forever. As a lot of vacant posts are there, the age limit is also different for all of them. For some post, the age limit should be “20-27 years”, for others it is “18-27 years”, “20-30 years”, “Maximum 30 years”, “Maximum 32 years”, etc. Therefore, please get the link beneath to make sure. The relaxation in age is given as per the rules and regulation to reserved candidates. Assistant Audit Officer/Assistant Accounts Officer: The essential degree is a Bachelor’s Degree from a reputed university/organisation/institute. The desirable qualification could be Chartered Accountant or Cost Management Account or Company Secretary or Post-graduation in Commerce/Business Studies/Business Administration (Finance)/Business Economics. Junior Statistical Officer: Applicants are required to have a Graduation Degree with at least 60% marks in Mathematics in the 12th Class Certificate or a Graduation Degree with Statistics as one of the chosen subjects will do. All Other Posts: Simply a Bachelor’s degree is required. An application fee of Rs.100/- is to be paid, while, there is no fee for Women/SC/ST/PWD/Ex-Servicemen are exempted from the payment. The commission has already dispensed with Interview which means there will “No Interview”. The submission process of the Online Application Form will take place on the SSC’s main website i.e. www.ssc.nic.in. Read out all instructions given there by downloading the notification. If you see something marked with * (asterisk) sign, it means it is mandatory to fill it. On submission, a registration no. will be generated and you have to note it down. The fee is supposed to be paid only through an SBI in the form of Challan or Net Banking/Credit Card/Debit Card. If you want to pay online, there is no need to pay the application fee offline (do it online). Upload all required documents and photos on the online website portal. 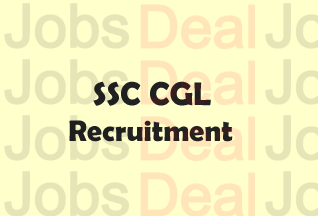 Further information on SSC CGL Recruitment 2017 can be obtained by making use of the following two links which are referred to the main website and the advertisement. If you still have any question left answered, you can go on – ask in the comments!